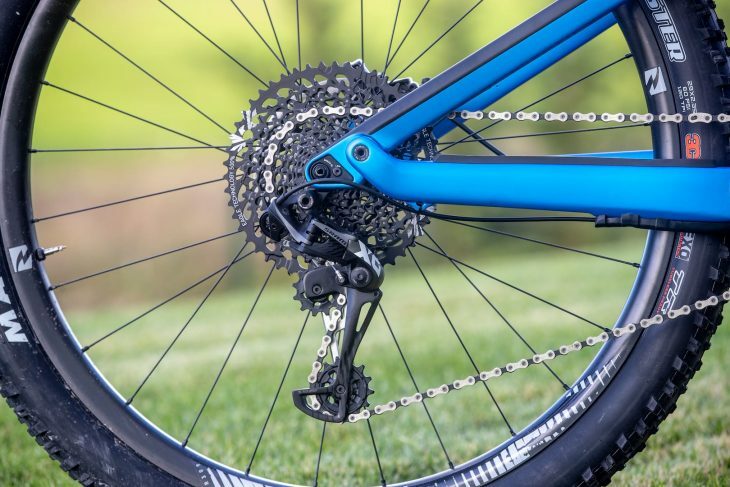 For those who were taking notice, you’ll remember that a short while ago we reported that German direct sales giant, Canyon, had quietly released an updated 2019 version of the Neuron AL with a minimum of fuss or fanfare. 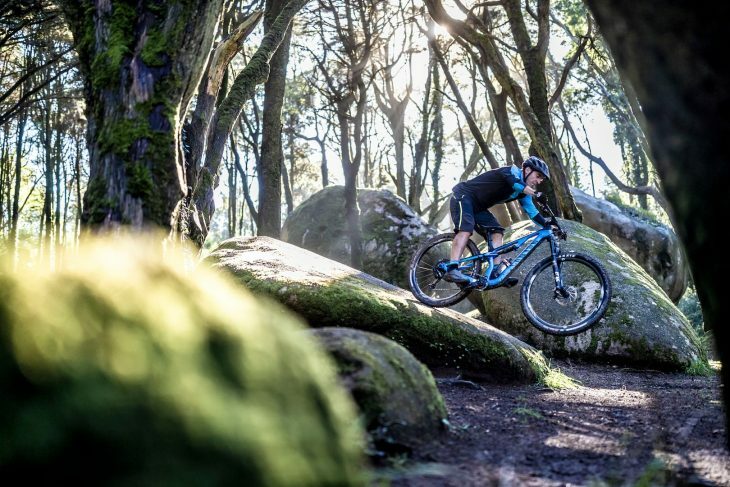 It was with some interest then that not long after that we received an invitation to join them in the Sintra mountains of Portugal for a new bike launch. We decided to give our foul weather tester, Daz Hall, a well-deserved break from the Grim North™ to see exactly what this new bike is made of. Over to Daz! 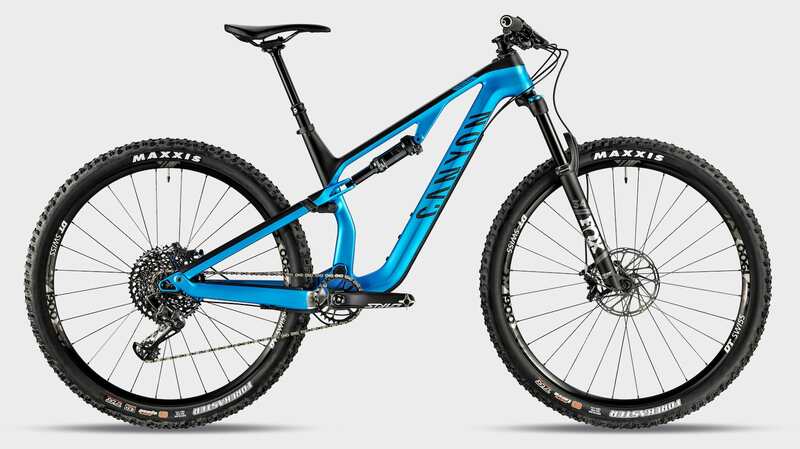 This year saw Canyon release its new 140mm Spectral trail bike and the 100mm Lux race machine. 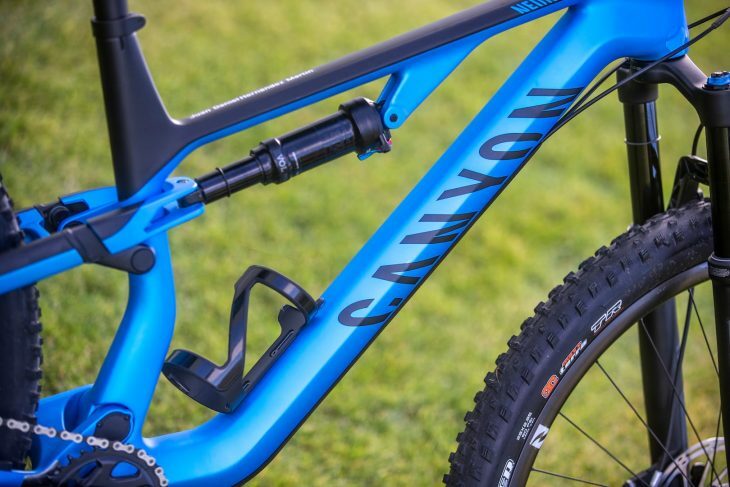 Whilst these are completely different bikes with different purposes and target markets, they do share the common technologies and aesthetics that are steadily tying together Canyon’s new full suspension lineup, which includes the big travel Torque and Sender downhill bike. As of right now, two models have yet to receive the update treatment though – the Neuron and the Strive. Given the somewhat understated update of the Neuron AL, and the fact that pretty much every other bike manufacturer has jumped on the mid-travel 29er bandwagon, it wasn’t exactly a shock to the band of bike journos assembled from all corners of Europe and the US to see another mid-travel carbon 29er before us. Or maybe the lack of enthusiasm was because we were all knackered from being up at 4am to catch our respective flights? My grumpy jetlag aside, there’s a fair bit to get excited about with the new Neuron CF. For a start, it has a completely brand new carbon fibre frame that draws plenty of inspiration from the new Lux and Spectral models. 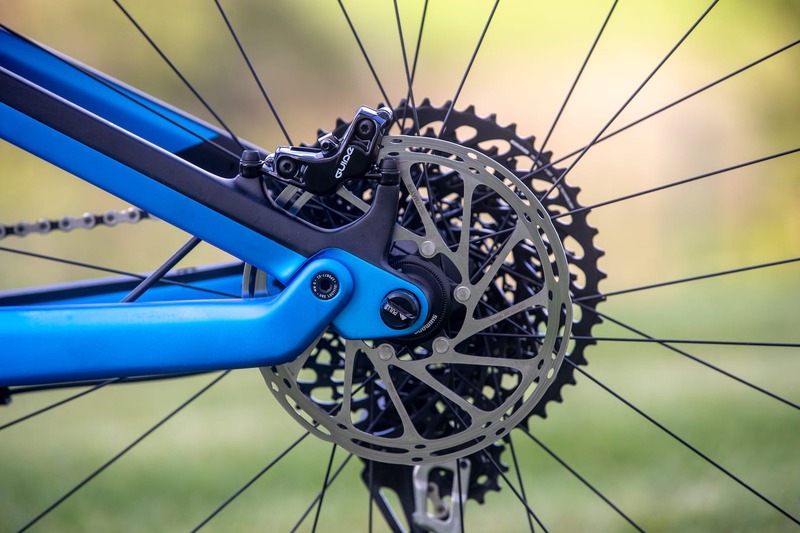 And gone is the previous rocker-link suspension design of the current Neuron AL, and in its place is Canyon’s new Triple Phase platform that flips the rear shock mount to sit underneath the top tube. There’s a whole lot more detail to be found on this mid-travel trail bike, so let’s dive in to take a closer look. New suspension layout keeps the standover clearance high, while still providing water bottle placement inside the mainframe. 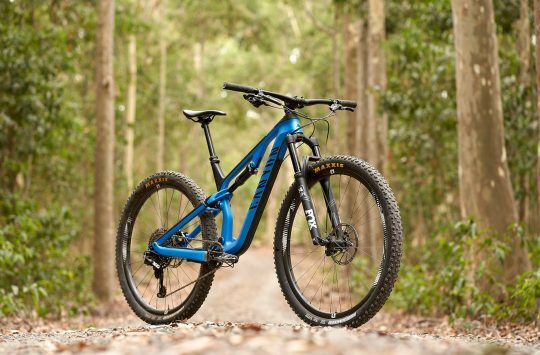 The Neuron CF is pitched as an all-round adventure machine. Something for big rides, on big mountains, that you can pedal uphill all day without compromising on fun going back down. 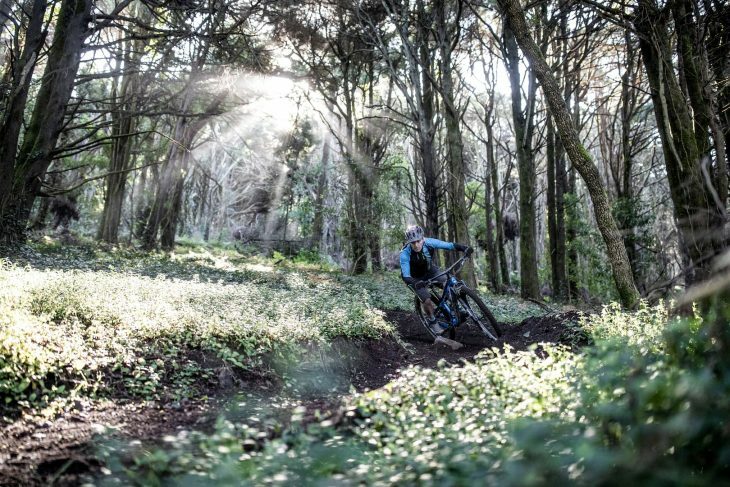 But it’s also made to cater for the less adventurous too – those who usually get out for a couple of hours at the weekend on local trails, with perhaps a few trips away with mates somewhere more exotic. As a result of these multiple aims, some compromises have been made in the design. 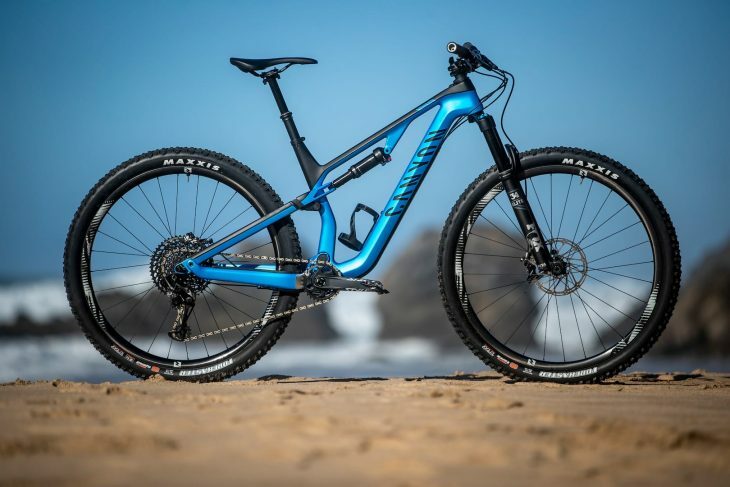 The Neuron features 130mm of suspension front and rear, which puts it bang in line with other 29er trail bikes like the GT Sensor and Trek Fuel EX. The geometry however, is a little more conservative. 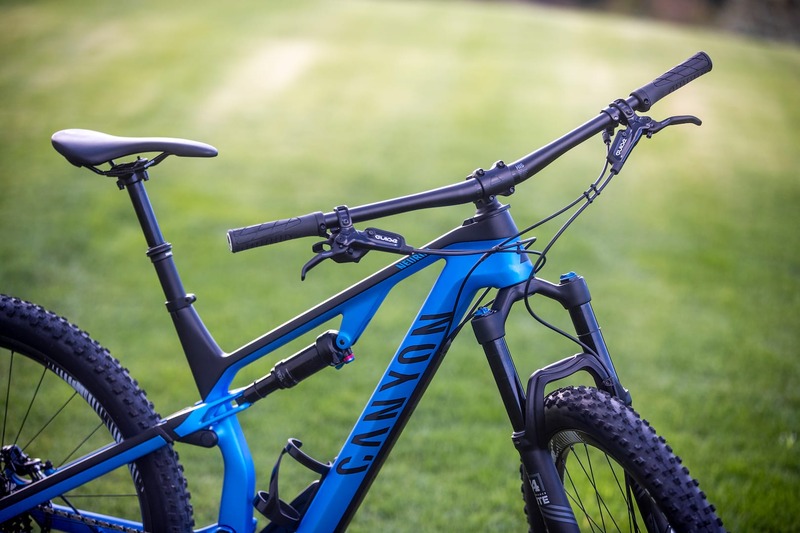 Canyon has resisted the urge to go too long or slack, and have instead kept the numbers right in the middle with a 67.5° head angle and a middling reach of 433mm on the Medium. Canyon has kept the numbers conservative on the Neuron. The IPU prevents the bars from over-rotating. Although the majority of the range features 29in wheels, the Small and X-Small sizes have 27.5in wheels. The reason for this is more than just aesthetics. The Neuron’s designers highlighted that a lot of work had gone into making this a bike suitable for those who are, shall we say, ‘less skilled’ in the arts of descent. The result of this was a focus on the ratio between ground trail and handlebar width in order to keep the steering consistently stable across the range. To achieve this, and to keep the geometry consistent, 27.5in wheels on the smaller bikes were required. It also means the larger sizes have wider bars at 760mm compared with 740mm on the smaller sizes. 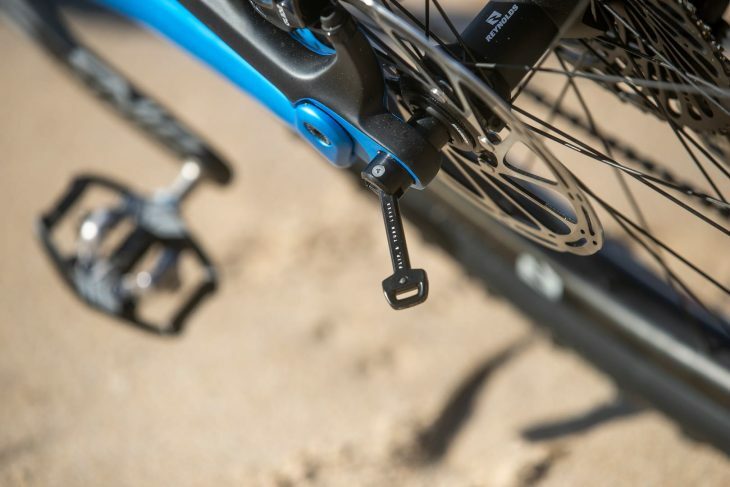 Regardless of frame size though, all forks are of a 29er variety, and feature a 51mm fork offset for nimble steering. Given the focus on stability for less aggressive riders, the Canyon team was keen for us to remember this while we were on the trail, and to imagine ourselves in this role. Considering I’d spent all year riding XC bikes with wheels firmly on the ground, I was going to fulfil this role to the letter. The back end of the Neuron is all carbon fibre. 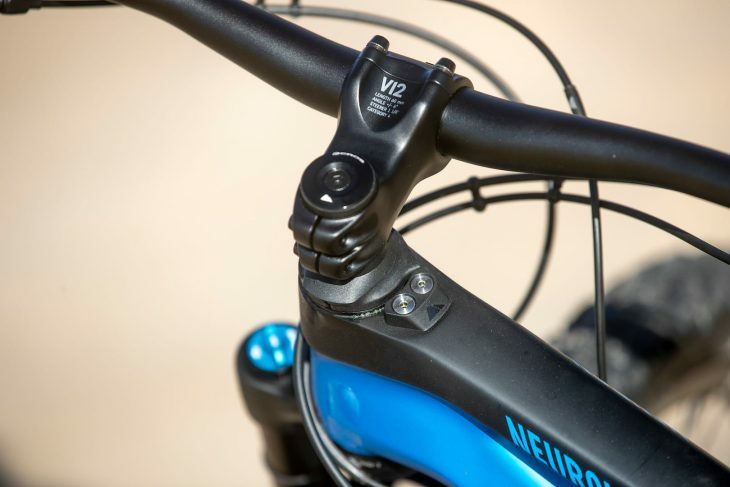 The Neuron uses full-length cable housing that’s cleverly hidden at key impact points. As is usual for Canyon, the Neuron comes in a range of specs and variations to suit a wide range of requirements and pocket depths. 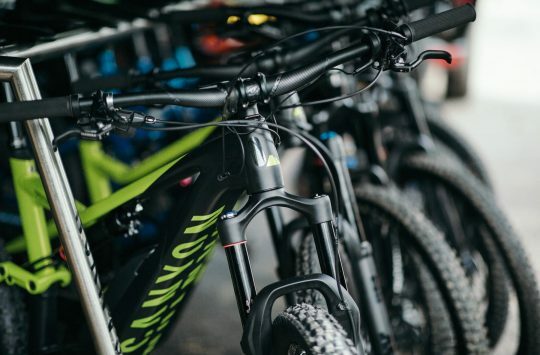 At the top end the 9.0 Unlimited is priced at £5,099 and is spec’ed with a Shimano XTR 1×12 groupset, a Fox 34 Factory fork, and DT Swiss XMC1200 wheels. At the other end of the range the entry level 8.0 model is priced at a very reasonable £2,449 and comes with a SRAM GX Eagle 1×12 groupset, a Fox 34 Rhythm fork, and DT Swiss M1900 wheels. 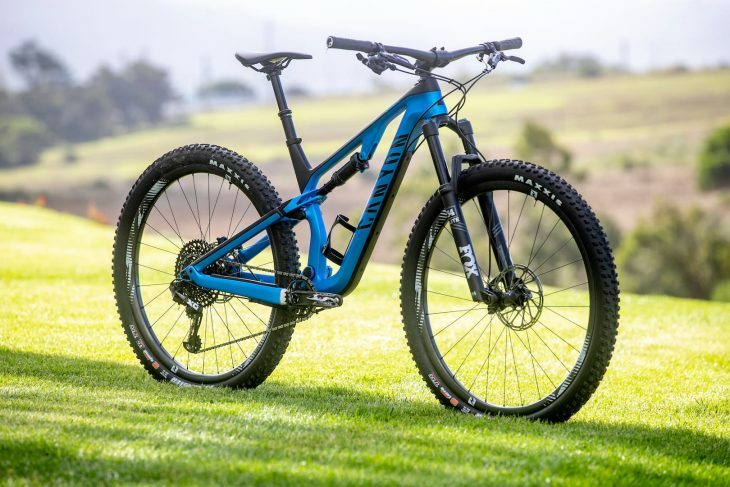 Just over five grand will get you the Kashima and XTR-laden Neuron CF 9.0 Limited. While £2,449 gets you exactly the same frame and suspension design, just with cheaper components. In this case we were testing the mid-range 9.0SL, which retails at an astonishing £3,349 considering it comes with Reynolds TR309 carbon wheels, Fox Performance Elite suspension and a SRAM XO1 Eagle groupset. There are also two women’s specific models; the 8.0 (£2,449) and the 9.0 (£2,799). I’m not quite sure why there isn’t a high spec version of the women’s model to match the men’s, I can only assume Canyon think, probably correctly, that female bikers are more sensible in their purchasing decisions. Not too big to mess around on the rocks. Sitting one step below the Unlimited model, the Neuron CF 9.0 SL comes with all the bells and whistles, at an astonishing price point. Flights & accommodation for this trip were covered by Canyon. Canyon Pure Cycling Weekend coming to the UK. Demo MTB, Road and Gravel bikes. Why do beginners want a more twitchy 67.5 degree head angle? I would have thought a more stable 66 would have been better? To me a slacker head angle feels much more reassuring. Maybe it’s just me! @kipvr – I think it depends on both the rider and the terrain. I’d agree with you that a slacker head angle can feel more reassuring, but generally moreso at faster riding speeds and on steeper (descending) terrain. 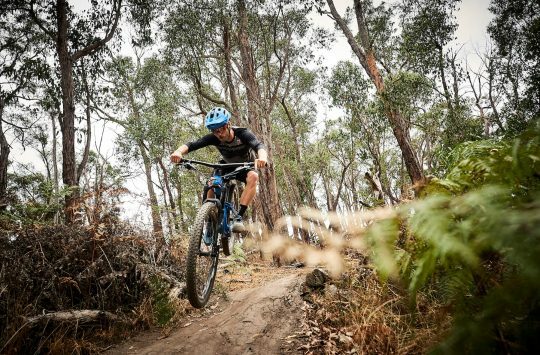 On flatter trails and at lower speeds, a slacker head angle (all things being equal) can feel like more work and require more commitment from the rider. In comparison, a steeper head angle can provide quicker and more intuitive steering that makes it easier to get a bike through the turns. For windier trails, that additional manoeuvrability can also inspire confidence. We’ll be getting a Neuron CF in for a longer term test soon though, so stay tuned for a more in-depth review on the bike and its handling! 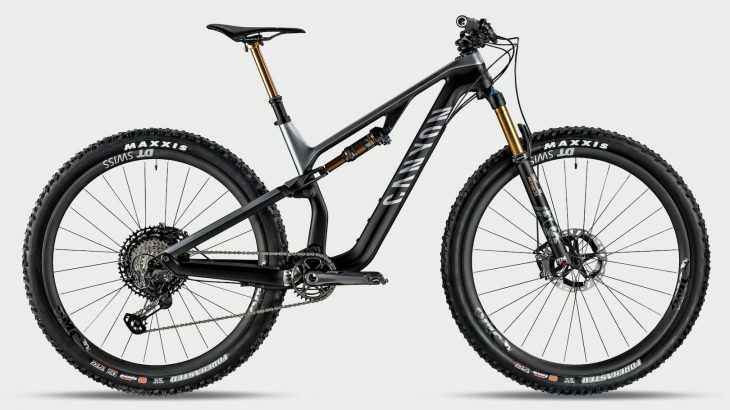 Without any fuss or blaze of publicity Canyon have released new versions of the Spectral as well, will we be getting reviews of these as well? They have new XTR on the men’s but sadly not on the women’s higher end models. Are you referring to the new spec options for 2019?